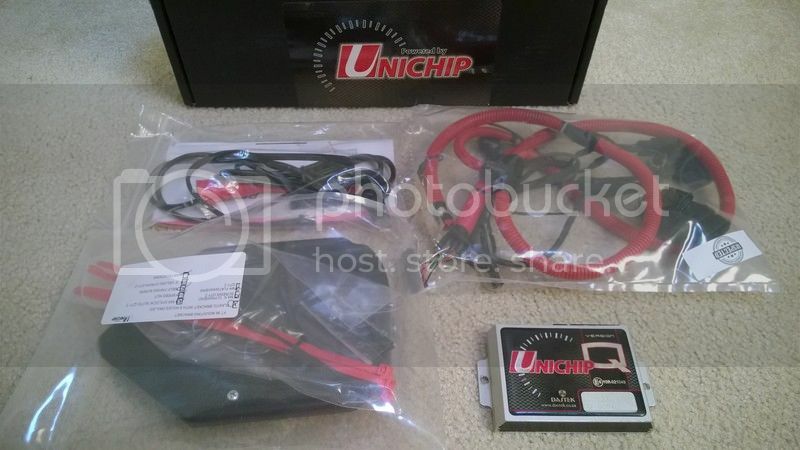 This is the a complete Unichip PNP set for the GT-86, including all mounting hardware, cables, installation documentation, all in the original packaging. The only thing this kit does not include is the flux display. This is the base kit with the two position switch for 2 maps. 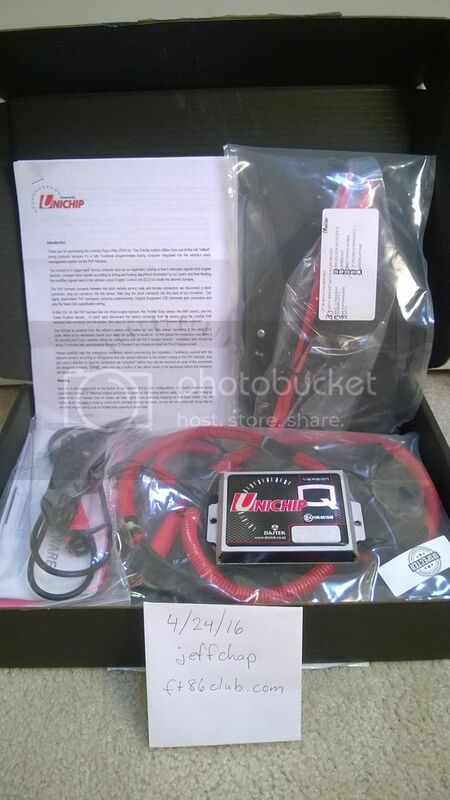 You can purchase a flux display from Unichip directly and add it to this kit if you wish. I just never saw the need for more than 2 personally. I'll be perfectly honest and tell you up front why I'm selling. When everything worked fine, my car ran great with this. 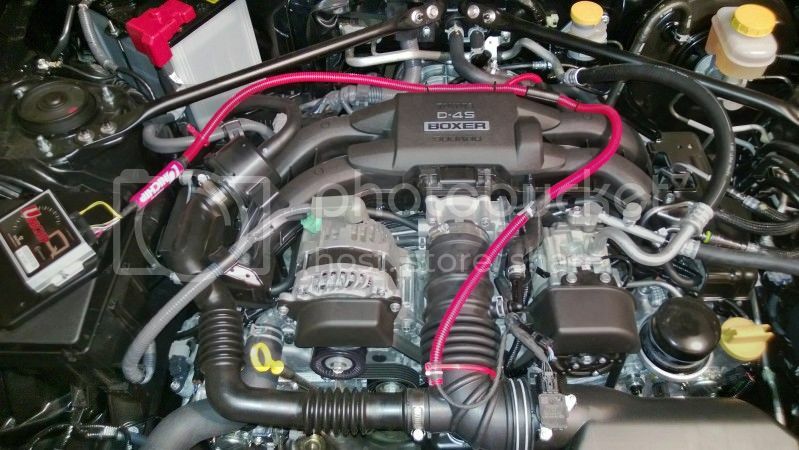 But after 9 months or so, I would occasionally get a check engine code P0172 (Bank 1 too rich). I took the Unichip off for a year, and never got another code. Put it back on and they come back immediately. I've tried every reasonable map for my car, and sometimes it'll run a few weeks with no problem. Other times it'll throw a code multiple times per day. It seems to be worse in warm weather, but maybe I'm just imagining that. I don't think there's anything wrong with this Unichip, and I know many people run them with no problem. I think my car is just finicky. Perhaps my MAF sensor is just inside the tolerance range, I dunno. But I'm tired of resetting the code, so my loss is your gain. It's a shame, because otherwise I was really happy with the way the car runs with this. To the user, Jesse, that PMed me via Tapatalk, yes I will ship to 14305. Please PM me through this forum and not Tapatalk. I don't have Instant PM on my Tapatalk app (Windows Phone) and I have no way to answer your question. I tried to email a response to you, but I guess you didn't get it. I don't know what your name is here on the forum. Sorry!